This release has many of the enhancements that users have been asking for. 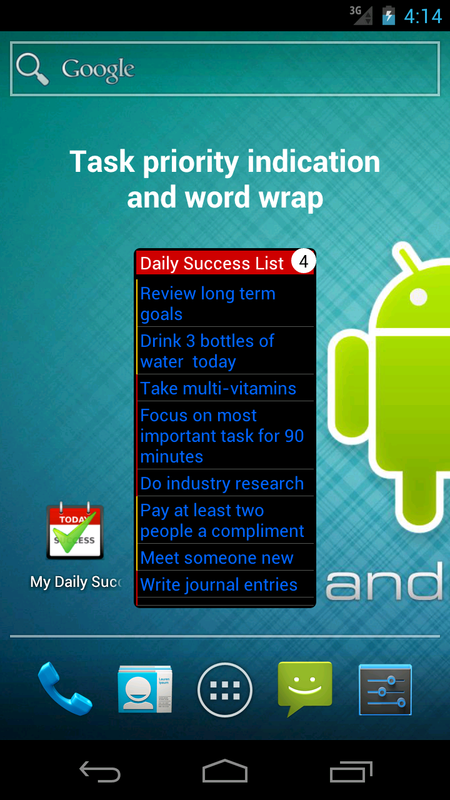 Most of them are obvious, like text size options, color options, and word wrap in the screen widget. The indication in the oval at the top of the list counts the number of items needing to be completed to earn a check mark. This number takes into account the Priority Significance. Additionally, the color of the title bar changes to indicate what priority level still has items unchecked. 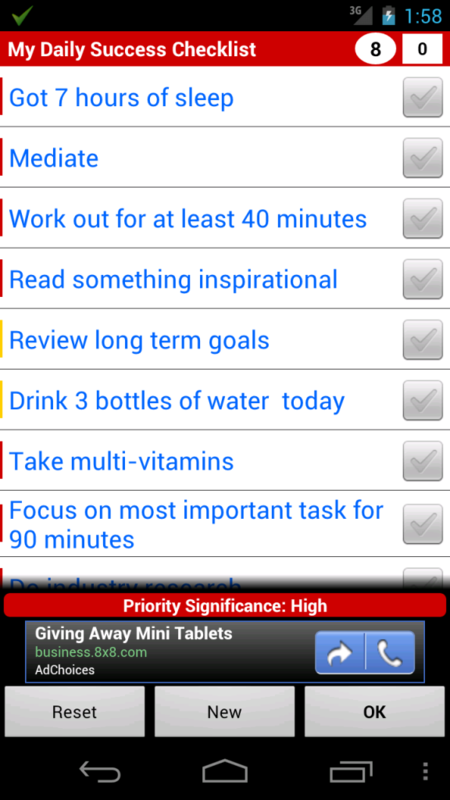 The bar is red if there are any High priority items unchecked. 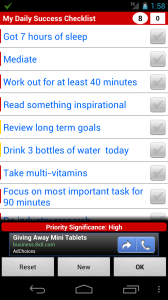 Once the high priority items are checked the bar turns yellow if there are Medium items left unchecked. If there are only Low priority items left unchecked the bar turns green. As always, the bar turns gray once all items are checked. 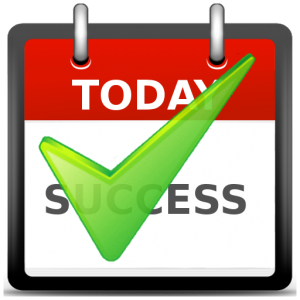 More details can be found on the My Daily Success Checklist product page.